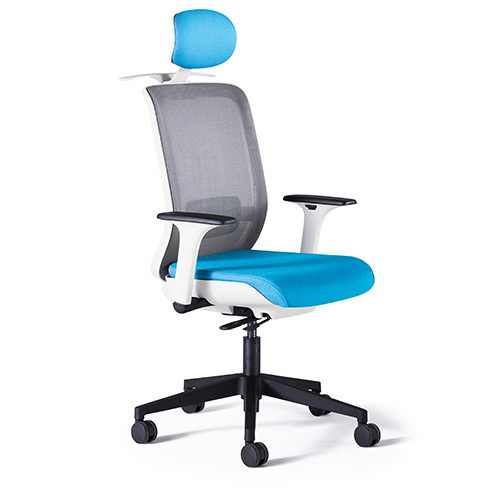 Icon, from Neutral Posture, is the clean, elegant solution for task seating in today’s high functioning office environment.The three adjustment levers control height, synchro-tilt and seat sliding position. The finished seat bottom shell conceals the mechanism allowing a clean, sleek aesthetic. Icon is available in armless, 1D or 3D arm styles. The arm adjustment is located on the inside of the arm, maintaining the clean, design aesthetic. 3D arms adjust in three directions – height, depth and width. 36.5" x 26" x 26"